I would like to share picture of Setups created by AIMS Stress Free Trading Basic Strategy. AIMS The Setup 1. Its just so simple and it works. Its been working for us ever since we conceived the idea and applied it. It will work forever because its based on the never changing underlying hidden from most but "uncovered" to AIMS, structure of the market. Its not rocket science though. 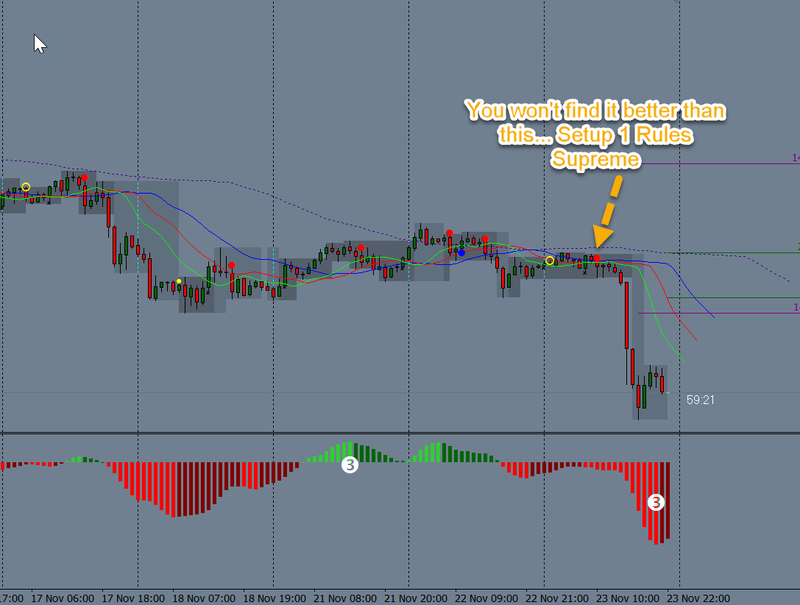 Its really simple all you need to do is read the Setup 1 eBook and you'll get the hang of it in no time.